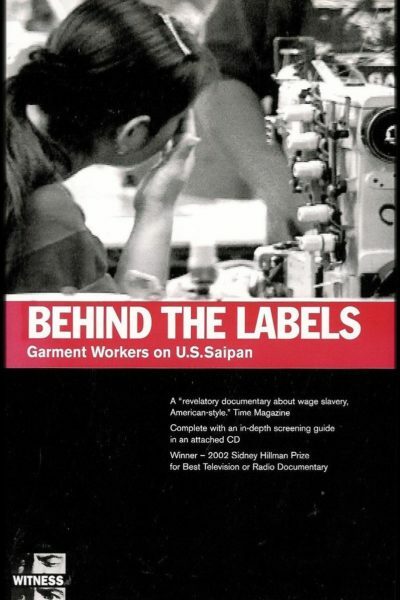 Lured by false promises and driven by desperation, thousands of Chinese and Filipina women pay high fees to work in garment factories on the pacific island of Saipan–the only U.S. territory exempt from labor and immigration laws. The clothing they sew, bearing the ‘Made in the USA’ label, is shipped duty and quota-free to the US for sale by retailers. Hidden camera footage, along with personal stories, offers a glimpse into indentured labor and the workings of the global sweatshop–where 14 hour shifts, payless paydays, and lock-downs are routine. Directed by Tia Lessin, and narrated by Susan Sarandon, Behind the Labels takes the story from the factory floor to the streets, where protesters worldwide wage an ongoing battle against globalization.